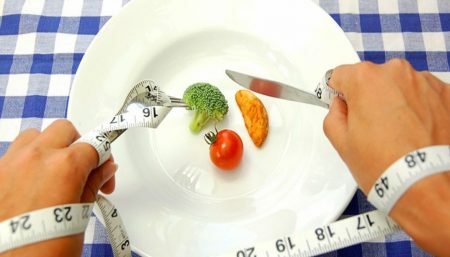 According to The US National Task Force on the Prevention and Treatment of Obesity, weight cycling or “yo-yo dieting” carries psychological and physiological health hazards. The amount of fat stored in the body increases with each cycle of up-and-down dieting. When a person loses weight, both fat and muscle tissue are shed. When the weight is put back, however, it tends to be made up of a greater proportion of fat and less muscle, leaving the person “fatter” than ever. Besides, a history of loss and gain is associated with greater amounts of fat stored in the abdomen, a pattern of fat distribution linked to greater risk of heart disease and diabetes. 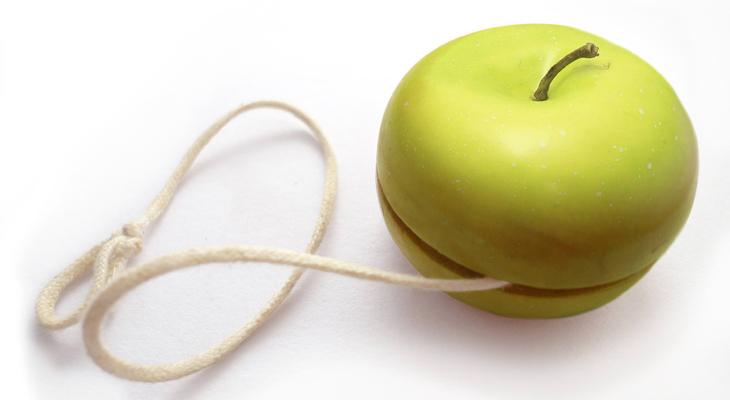 Yo-yo dieting has a definite affect on food preferences, increasing the craving for fat. Fat is the most concentrated source of calories in the diet, and the body appears to store calories from fat more easily than surplus calories from carbohydrates or protein. Repeated cycles of loss and gain take a psychological toll. Many dieters perceive each unsuccessful attempt to keep weight off as a personal failure. The result, over time, is erosion of self-esteem coupled with depression and even guilt. People who repeatedly lose and regain weight are weakening their immune systems. Women who have tried losing weight more than five times will have about a third lower natural-killer-cell function. In contrast, women who maintain the same weight for five or more years have 40 percent greater natural-killer-cell activity as compared to those whose weight had remained stable for fewer than two years. Some studies suggest that weight cycling may increase the risk for certain health problems. These include high blood pressure, high cholesterol, and gallbladder disease. The body has an internal weight that it strives to maintain (a set point), and your metabolism actually slows down when you diet in order to conserve energy and stores up more fat to protect against future restrictive eating. Unfortunately, most women feel badly about their bodies. Did you know that up to two thirds of women feel dissatisfied with some part of their bodies and that 80 to 90 percent of dieters are women? This trend has sadly infiltrated our youth. Several researchers have found that about 70 to 80 percent of 10-year-old girls are currently dieting. The irony is that most women view their bodies unrealistically and believe that they are larger than they actually are. In fact, one study showed that 70 percent of young women in the United States and England thought that they were overweight even though they were within their normal weight range. Remember, Yo-yo dieting — strict dieting followed by a rebound in weight — will only exacerbate the pattern of weight loss because it stresses the body and damages your metabolism. 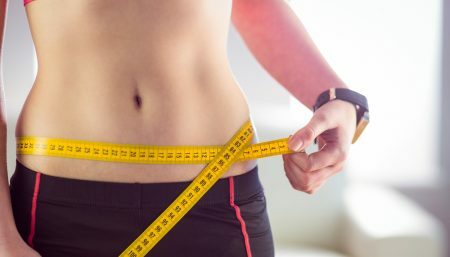 While there’s no sure-fire guarantee that the weight shed on a diet won’t eventually return, there are steps dieters can take to avoid getting caught in the vicious cycle of yo-yo dieting. One is to stay away from “crash” diets that promote quick weight loss. When more than a pound or two is shed each week, much of the weight lost is in the form of muscle rather than fat. Start by figuring out how many calories you need to eat and burn off a day to lose one pound a week. Try to balance your calorie intake throughout the entire day. 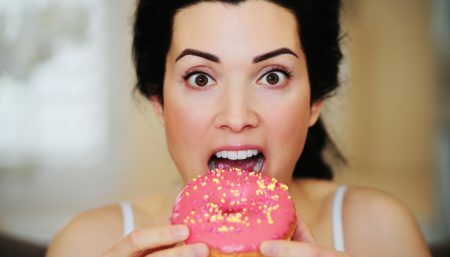 If you have cravings in the late afternoons, you may not be eating enough earlier in the day. Eat five to six small meals throughout the day, starting with a satisfying breakfast. Eat five servings of fruits and vegetables a day to help keep your calorie count low and your fiber intake high. Also aim to eat a variety of different foods, concentrating on foods that are as close to their natural state as possible. For example: apple, good; applesauce, okay; apple pie, no. Keep in mind: Sugar-free (and fat-free) does not mean calorie-free. Those “free” foods often have two to three times the calories of the real thing. Plus the taste is usually a disappointment. Drink at least 8-10 glasses of water a day to help you feel full and to prevent dehydration. Keep a food log for at least three days, then review it carefully. Writing down what and when you eat will help isolate eating patterns and problem spots. For instance, you may discover that the buttered muffin and coffee with cream you’ve been bolting down every morning leaves you feeling unsatisfied, adds hundreds of calories to your total intake and gives you virtually no nutritional bang for your buck. 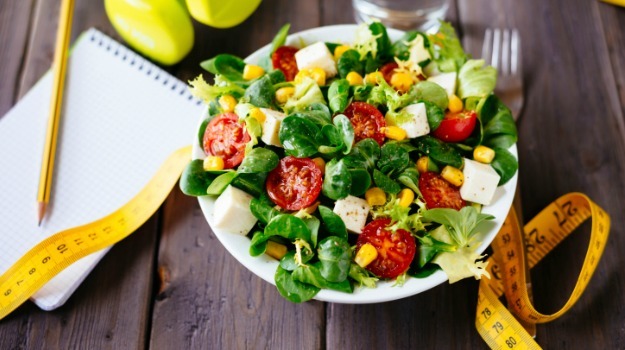 Have your food diary analyzed by a registered dietitian. She’ll help you understand your eating habits and offer plenty of strategies for improving them. Don’t completely cut yourself off from your hot-button foods. You’re going to crack sooner or later. Allow yourself a little indulgence, but limit the amount and the frequency. For example, if you can’t resist eating your mother-in-law’s famous chocolate cake that’s served at Sunday dinner, cut back your desserts during the rest of the week. Work out aerobically 20-60 minutes, five to seven days per week. 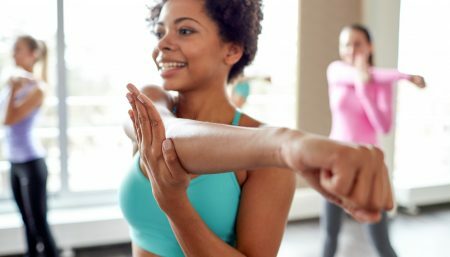 Aerobic activities such as cycling, walking, running, stair climbing on the stair machine at the gym and swimming all burn tons of calories and help rev up your metabolism. Adding 2-3 days of weight training is essential for weight loss because it builds calorie-burning muscle tissue. Aim for 8-15 repetitions per exercise using a weight that challenges you but still allows you to maintain good form. If you can do more than 15 reps with a weight and the exercise still feels kind of easy, then the weight is definitely too light.